Colorado Wilderness Elk Hunts, Mule Deer Hunts, Big Game Guides, Outfitters, Hunting, Fishing. On September 3, 1964, the United States did something that no other nation had ever done before...They created "The Wilderness Act". Island Of The Rockies, Sights and Sounds of the Flat Tops Wilderness, a 62 minute video filmed in 1997, shows all the beautiful country before it was under siege by the "Big Fish Wildfire" of 2002. The Flat Tops Wilderness is located in Northwest Colorado, just a few miles up the Flat Tops Trail Scenic Byway as it follows the White River from Meeker, Colorado. The Colorado Wilderness preferred big game guides and outfitters in Northwest Colorado are taking reservations for the current Elk and Mule Deer hunting season. Public and Private land hunts are available with many of our outfitters. Affordable trespass hunts are available at Colorado's Mountain West Outfitting Company located 22 miles west of Craig. You can also book your summer vacation, horseback pack trips and fishing trips into the White River National Forest and Flat Tops Wilderness. Check the listings in the Guides & Outfitters directory. Colorado Outdoor Recreation Websites. Information for your Summer Vacation trips, Hunting, Skiing, Mountain Climbing, Wildlife Watching. Renew your ATV, Boat, Snowmobile Registration online and purchase your Colorado State Parks Pass at: http://www.parks.state.co.us . Purchase your non-resident OHV or snowmobile permit. Questions regarding use of the White River National Forest or the Blanco Ranger District? 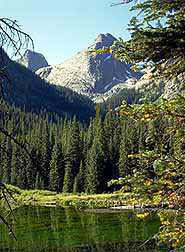 Go to the Rocky Mountain Region Forest Service Frequently Asked Questions page. If you can't find it here, try the Wild Colorado site for Colorado Fourteeners & more. Lots of Colorado events information & links, links, links! 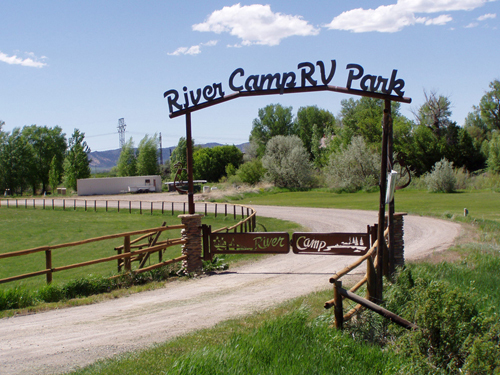 River Camp RV Park, located 2 1/2 miles west of Meeker, Colorado on the White River. Visit Meeker Colorado. Lots of great relaxed atmosphere & fun in Northwest Colorado. expenses incurred in conducting search and rescue operations within Colorado. �1998-2015 IOR Productions. All rights reserved.